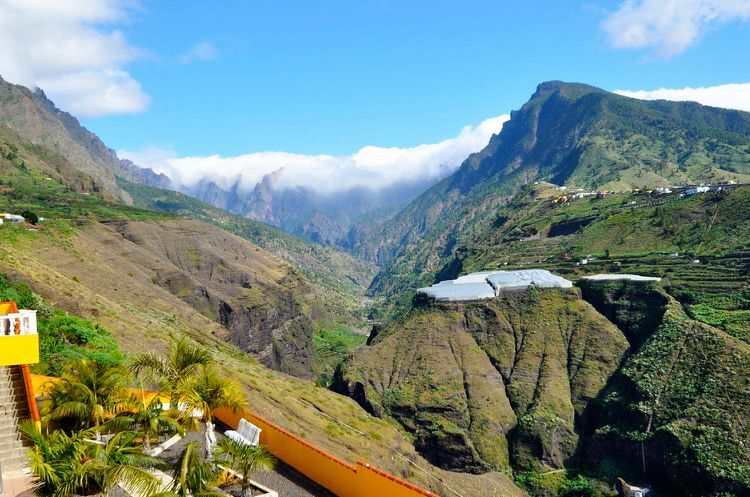 The Finca Time Vista Hermosa in Tijarafe / Amagar on the westside of the island attracts with an unusual beautiful view into the Barranco Las Angustias, into the Caldera de Taburiente, over the whole southside until Fuencaliente (Los Canarios) and to the port of Tazacorte. 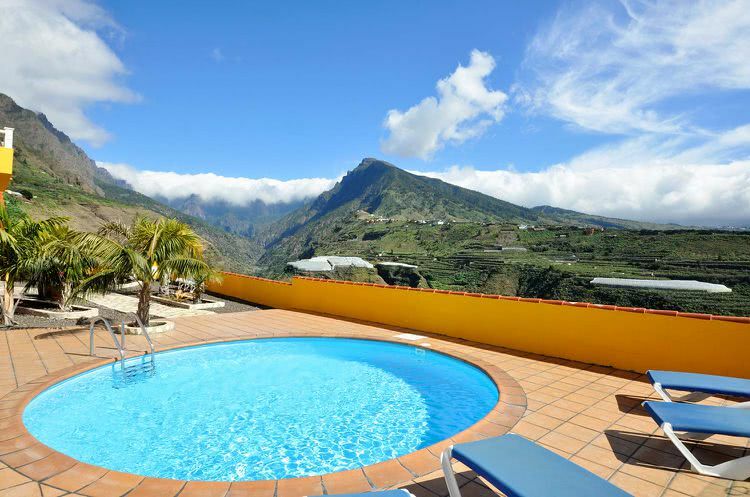 The house with the 4 apartments is situated at 300 meters above the sea level in the mildest climate zone of La Palma and therefor a real resort area. 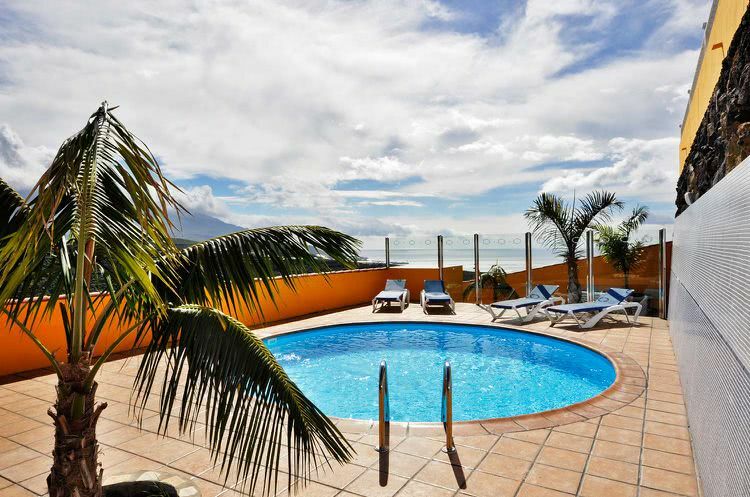 Each apartment offers a gorgeous ocean view from the balcony (Vista Hermosa) and the common tropical terrace with the round pool with a diameter of 6 meters invites to sunbath and lazing around. 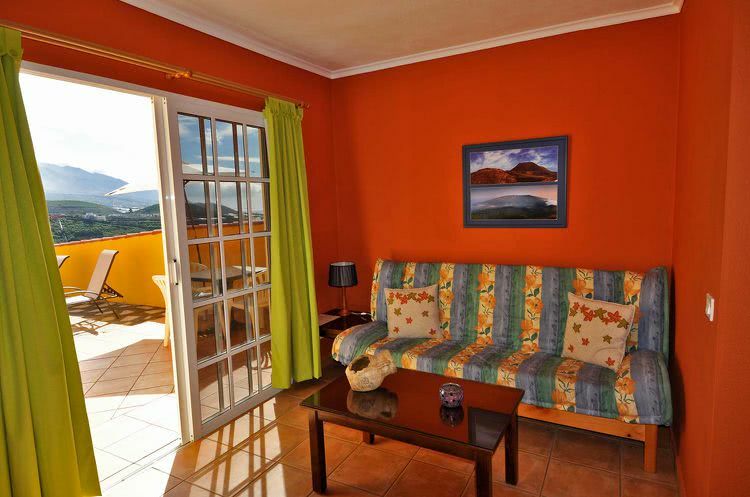 The apartments Time Vista Hermosa are very well equipped and maintained. 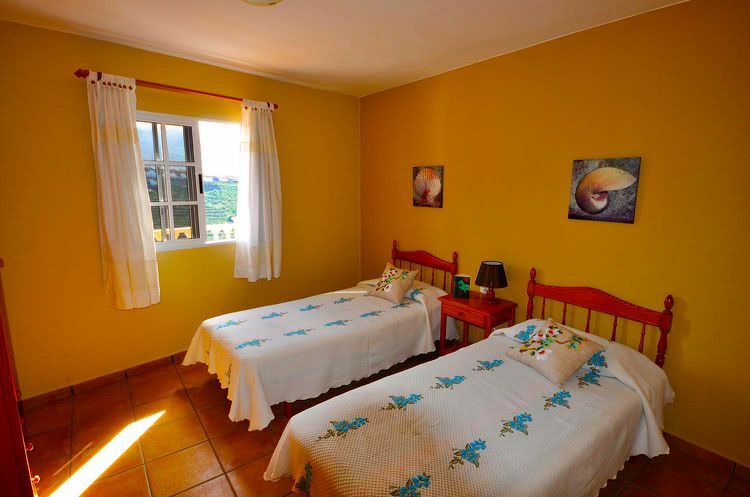 The approximate distance to Amagar are 4 kilometers and 8 to Los Llanos. Also the very green north with it's abundant nature and many hiking trails are easy to each from here. 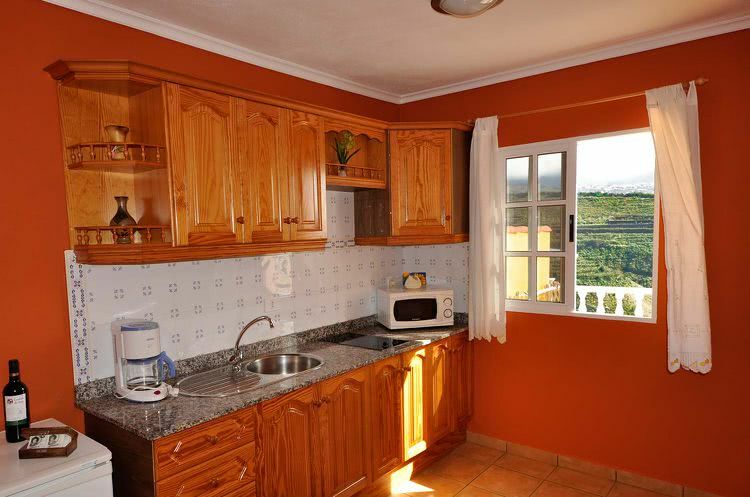 With the central location of the apartments you can arrange your holiday with diverse activities. The four apartments are next to each other and have slightly displaced balconies so that each apartment offer their guests a place under the open sky. 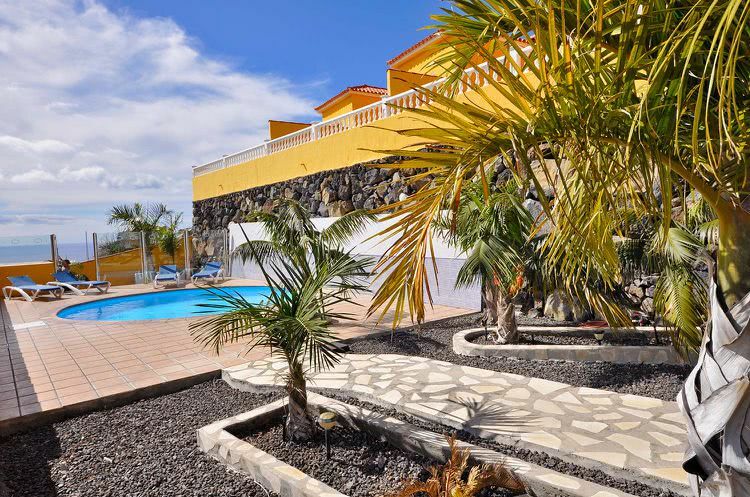 With a stairway you can reach the sun terrace with pool and sun loungers. 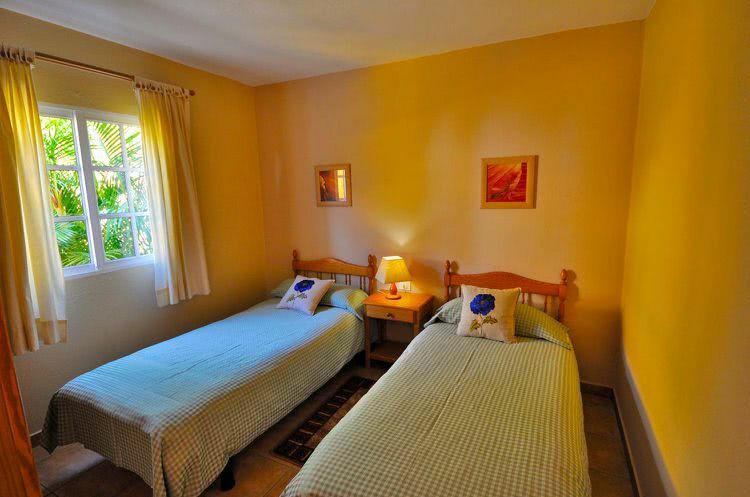 The bedrooms of the apartments have 2 single beds which of course you can put together. For a third person there is a sofa bed available which indeed is more an emergency solution or for kids. 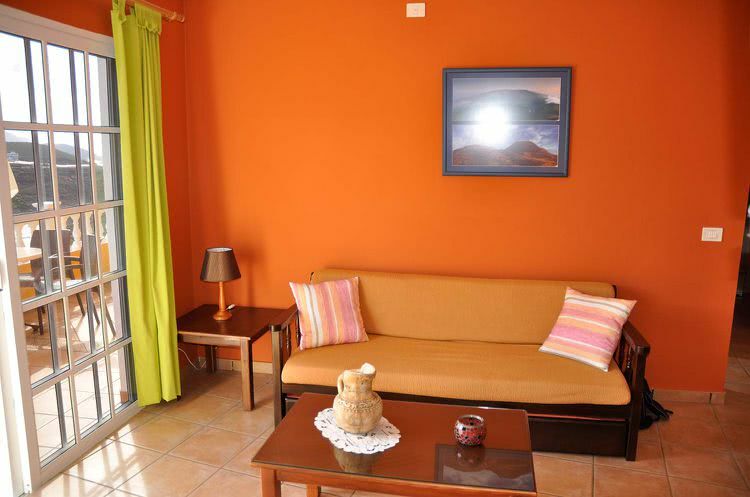 In each apartment there is a radiator which you can use if you are cold for example in the early hours. 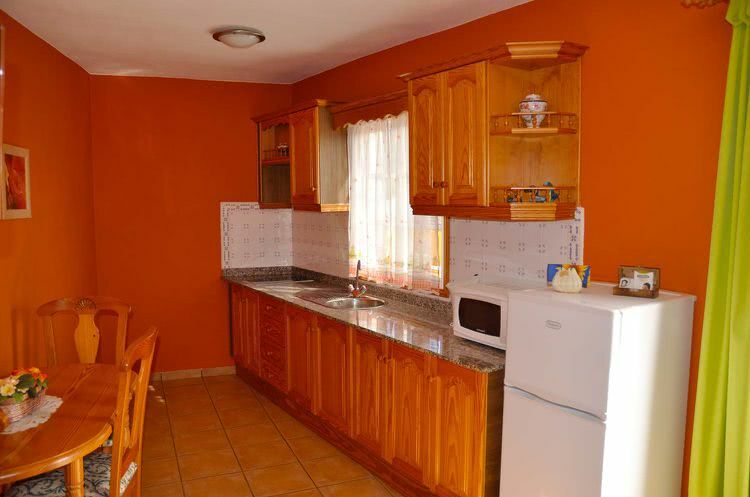 The kitchens are very well equipped, the guest can chose in between an italien espresso or an ordinary coffee machine. Microwave, electric juicer, toaster, pots, electric kettle etc. are available. The living room which is connected to the kitchen provides a satellite TV as well as an internet access in the entire apartment. As well as on the terrace! The pretty bathroom treats you with a massage shower and is furnished with a hair dryer. Of course there are towels in the bathrooms. 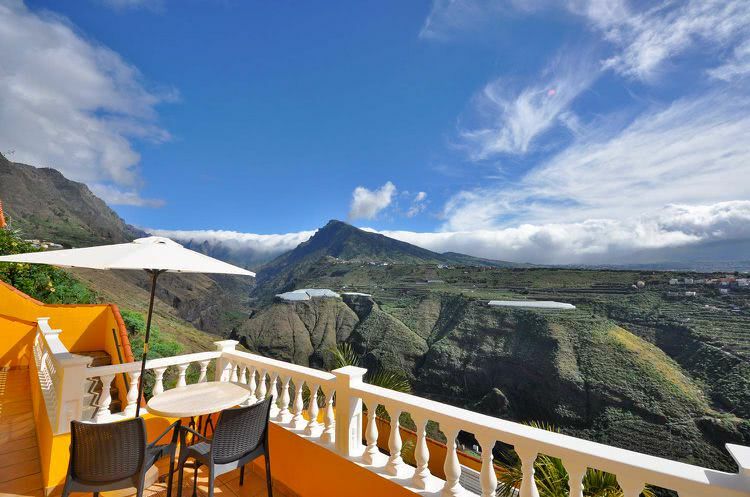 On the sun terrace the guests are provided with sun loungers, parasols and seating furniture to relax and rest. 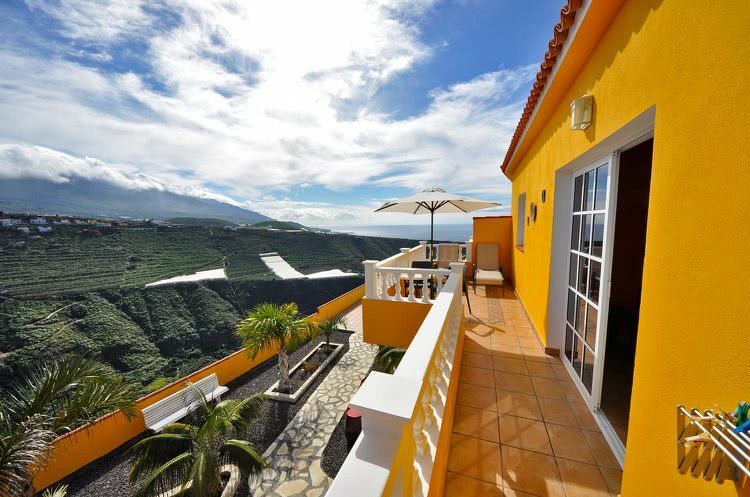 Tropical planting, an all-the-year mild climate and an impressive outlook are giving the apartments "Time Vista Hermosa" a special touch! 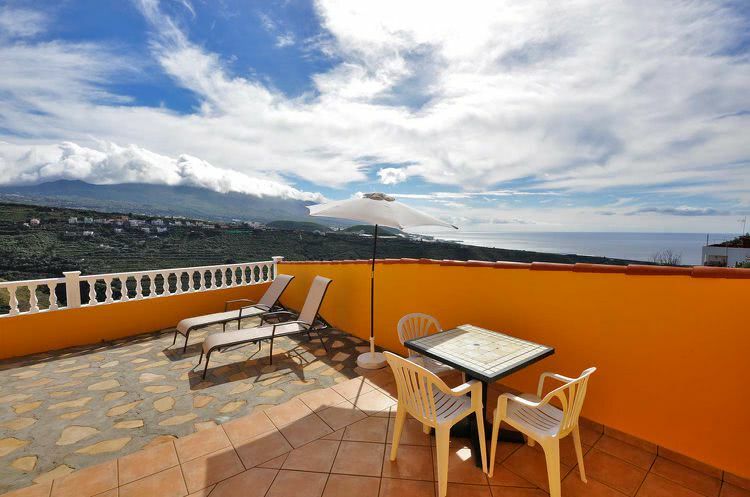 For each additional person we charge 10 euro/night. 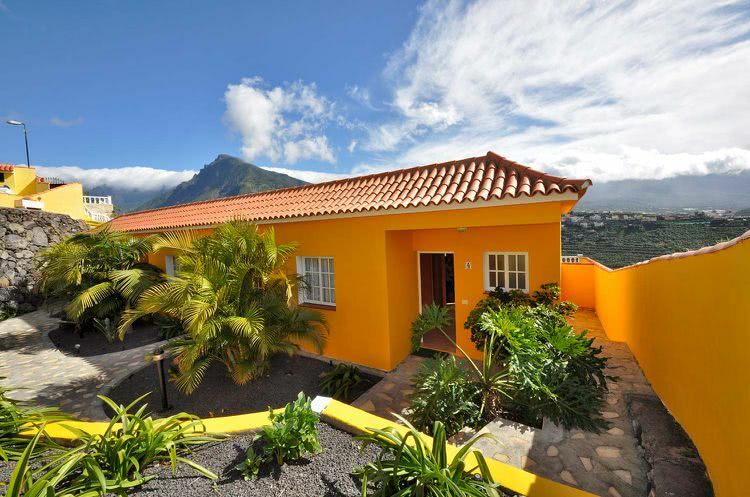 Included in the price which is for each apartment is the final cleaning as well as a rental car with fully comprehensive insurance and airport service. 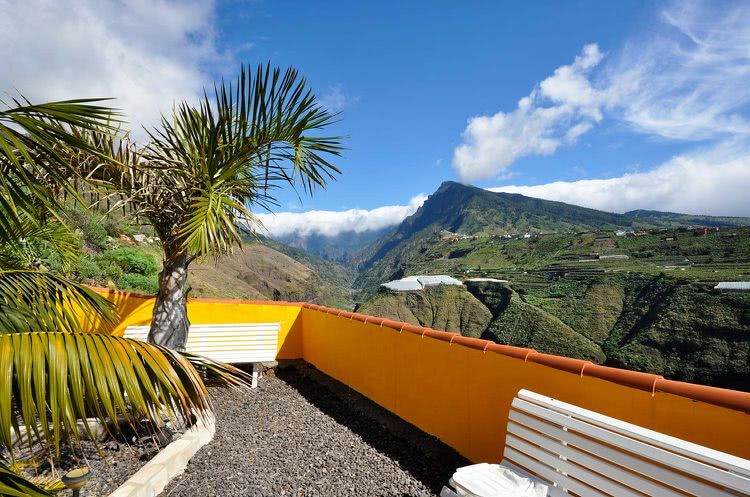 There are no fixed arrival dates, you can book the holiday apartment for 12 days e.g.! Therefor please contact us for special price information without commitment.